Just steps from the beach and Atlantic Ocean at the north end of Atlantic City’s famed Boardwalk, Resorts Casino Hotel is a 20-minute drive from the Atlantic City Airport and easily accessible from major cities and airports throughout the Northeast. Find out how to get here, where to park, and more. Cross the Benjamin Franklin Bridge or Walt Whitman Bridge and follow the North-South Freeway (Route 42) to the Atlantic City Expressway. At the base of the Atlantic City Expressway, turn left onto Pacific Avenue. Continue to North Carolina Avenue. Turn right onto North Carolina to Resorts. Take the New Jersey Turnpike to the Garden State Parkway (Exit 11). Proceed south on the Parkway to Exit 38 (Atlantic City Expressway). Take Atlantic City Expressway (East). At the base of the Atlantic City Expressway, turn left onto Arctic Avenue. Continue to North Carolina Avenue. Turn right onto North Carolina to Resorts. Take I-95 North across the Delaware Memorial Bridge and follow Route 40 East to the Atlantic City Expressway. Take Atlantic City Expressway (East). At the base of the Atlantic City Expressway, turn left onto Pacific Avenue. Continue to North Carolina Avenue. Turn right onto North Carolina to Resorts. There is no better way to visit Atlantic City – by yourself or with a group – than by bus or motor coach. Hop on a bus of one of the participating bus companies and you’ll receive front-door service to Resorts Casino Hotel. You can even catch a shuttle to Resorts from the White Horse Pike Hotels in Absecon or from South Jersey Campgrounds. Valet parking is available 24 hours a day at the North Carolina Avenue entrance. *Rates may vary. 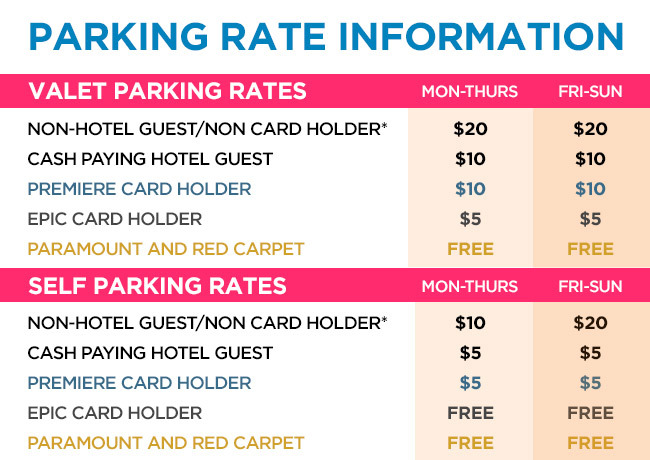 Non-Hotel and Non Card Holder Rates are subject to change based on events occurring at the hotel or in the city. Jitneys are available for all incoming flights. $10/person from the Airport to Atlantic City. $15/person from Atlantic City to the Airport.